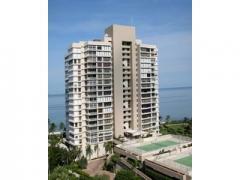 Sea Chase is a Vanderbilt Beach condo tower with only 31 residences. Amenities include garage parking, large pool, secure lobby and liberal renting policy. Sea Chase is also a pet-friendly building! There are no available listings here today, but you can create a Condo Alert and you'll be notified as soon as one comes on the market. If you are considering selling please contact us - we have buyers waiting for inventory. Have any comments or questions about Sea Chase? Ask your question and/or share your thoughts about this Building.